I'd love to try out the scrub of your life. Haven't seen it here before. I've just started following your blog and have started blogging recently myself (it's so new I don't think anyone reads it besides my mum, haha!). Congratulations on reaching 2000 followers! Just wanted to let you know I love your blog and I hope you have a wonderful day. I would love to try out the Heel Genius as I love soap and glory products and always think feet is an area a skimp on beauty wise. Lovely giveaway! Congratulations on 2000 followers lovely! You deserve it, I love reading your blog! I'd love to try out the Soap and Glory No Clogs Allowed mask! Such an amazing giveaway! Firstly congrats on the big milestone and secondly I would love the try the Soap & Glory Detox Mask. I would love to win this! What an amazing give away and in the middle of entering i've found another amazing youtube channel! I'd love to try the detox mask! Everything is so perfect in this give away! Congrats on reaching 2000 followers. I just reached 50 followers but that seems a bit pathetic in comparison! I LOVE anything Soap & Glory (I recently bought their conditioner as my latest S&G buy) and have heard a lot about Hand Food through various blogs (I think it might have been on Miss Makeup Magpie or somewhere like that?) so that's definitely the thing I'd try first. Would love to review it on my blog as I am lacking somewhat in reviews lately. I haven't had any inspiration. im a massive soap & glory fan, so ive love to try the no clogs allowed because the black heads and pores on my face are not even funny! congratulations on 2000, you deserve it! Heel Genius as I've never tried more than Hand Food, Sugar Crush and SuperCat Eyeliner from Soap and Glory but with summer our heels (get the joke :P ) I'd love to try it! So nice to do a giveaway! What a fab giveaway! Well done on 2000 babe! Wow, congrats on 2000 followers. I've been following for a while, and adore your blog - I'm also obsessed with Disney! The product I'd love to try is the Soap & Glory No Clogs Allowed Detox Mask, I've tried other S&G products but haven't seen this before, and a Detox Mask is exactly what my skin needs right now, especially after all of this A Level exam stress! Anyway, thank-you for a wonderful giveaway! Congratulations Kirstie! I love reading your blog, I'm always lusting over the products you feature! I think I'd be most excited to use the Little Mix Perrie Lipstick because it is such a bold and brilliant colour. The white chocolate face mask - I've tried most of the Montagne Jeunesse masks but not this one! I'd love to win the Impress Press-On Manicure, I love nails ! Any prize would be awesome! I'd first try the Collection Work The Colour Smokey Eye Palette, I love make up!! Congratulations on 2000 followers! I've been blogging for 2 years now but I have been struggling to gain readers (guess Japanese beauty isn't that interesting for most people...?) so I really respect your achievement! I was born and grew up in Japan, but I'd been loving anything British. Magazines, TV shows, food, fashion, and of course beauty as well. I love Soap and Glory, and I'd love to try Soap & Glory No Clogs Allowed Detox Mask! Wish they would bring the brand to Japan someday! Congratulations on your followers. I love you disney themed Instagram. It's a work of genius. I found your blog following #lbloggers on twitter tonight. I've subscribed to read it regularly now. Would love to try Soap & Glory No Clogs Allowed Detox Mask! P.s, the eyelashes! What girl wouldn't want eyelashes? The lipstick would also start a great weekend look, or even to see Katy Perry again! and I'd like to try anything by soap and glory because it's not available where I live..
Congrats! 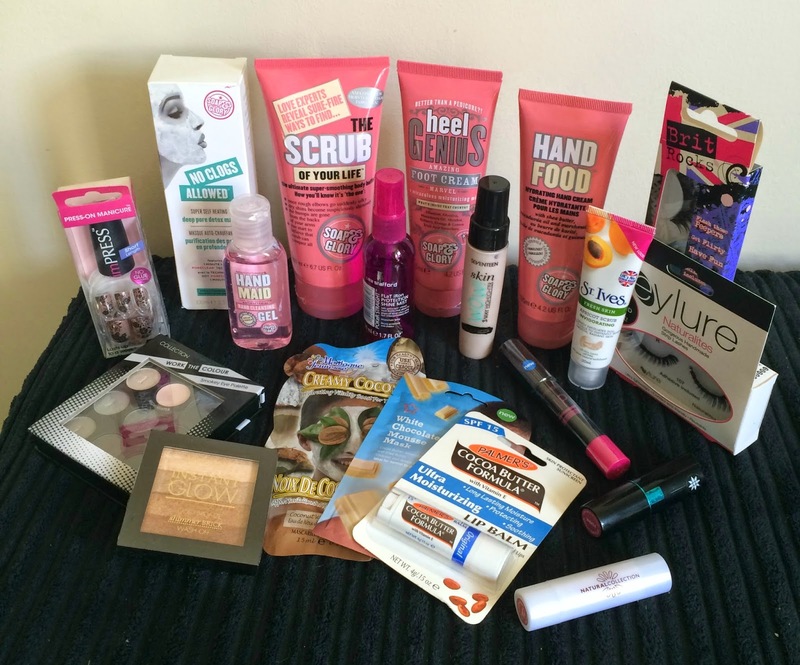 GREAT giveaway, I love Soap&Glory too! First time to your blog but certainly not entering just for the sake of it. Your prize looks absolutely amazing and the lovely lip balm would certainly provide a luxury alternative to the cherry Chapstick floating about at the bottom of my tote. Such a fabulous giveaway! I would love to try out the highlighter! This is such an amazing giveaway. I would have to say I would be the most excited to try Soap & Glory's No Clogs Allowed, if I was lucky enough to win! Sending you a HUUGGEEE congratulations on reaching such a big milestone! Very deserving of all the recognition you get! Hope to be in your position one day! Keep up the great work! nice prize, thank you and well done with all your new followers. good luck honey. I think the instant glow looks fab, I wonder how it looks on ? 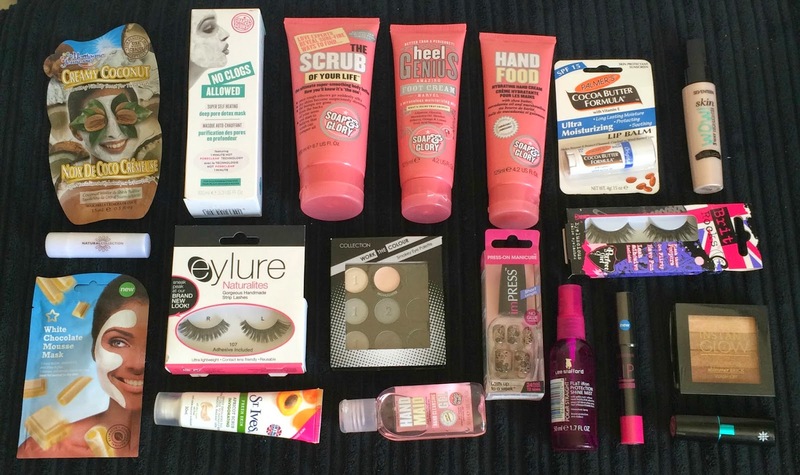 The Soap and Glory products are so great, I would love to try them out! I would love to try soap & glory no clogs allowed and the scrub of your life! As i haven't really tried anything by soap & glory.. I know shock horror! Definitely the no clogs allowed! Great giveaway and congrats on reaching your milestone! I'd love to try the No Clogs Allowed as I love Soap&Glory but haven't tried this! Ooh decisions... In the (very) unlikely event I win I'd probably try out the s&g scrub and seventeen wow highlighter first. Adorava experimentar o prémio Soap & Glory O Scrub Of Your Life, mas qualquer um deles seria bem vindo. All the seventeen goodies look lovely! Congrats on all your blog success, you are such a blogging idol for me, I didn't even realise I wasn't following you on Bloglovin' but you're on my reading list on my phone! Congrats on your fab achievement! I'd love to try the impress nails! Mrs.R would love to try all of it. Amazing prize! I love soap and glory products! Amazing giveaway! I'm already a soap and glory fan so would love to try more of their stuff!